New to a plant-based diet and overwhelmed by what to eat and how to cook it? (And don't need just another recipe?) Don't worry. I got you. Are you overwhelmed by the conflicting nutrition information out there and have no idea what you should actually be eating to stay healthy? Do you hate cooking every day, or just find that you’re way too busy to cook? Are your dining out habits draining your bank account and adding inches to your waistline? Do you wish you could stop eating out so much, but haven’t found another option that is just as convenient? Have you watched Forks Over Knives, What the Health, or some other documentary that has inspired you to switch to a plant-based diet… but now you don’t know what the hell you’re going to eat? Are you worried about becoming deficient in vitamins, nutrients and yep, I’ll say it … protein? I had the same struggles when I went plant-based. I spent hundreds of hours scouring Pinterest for easy recipes, reading blog posts, and reading books by all of the leading plant-based doctors … only to find myself overwhelmed and confused. Then I decided to really deep-dive into the plant-based diet world. I became a Certified Holistic Nutritionist and began practicing as a nutrition counselor, writing individualized meal plans for clients who wanted to go plant-based. But I learned very quickly — as in, after my first client — that I HATED writing meal plans. I continued to create them because that’s what people wanted, and that’s what they thought they needed. They wanted someone knowledgeable about nutrition to tell them EXACTLY what to eat, day in and day out. They thought that’s how they’d achieve results. So I gave them what they wanted! But then I realized I instead had to give them what they NEEDED. What they needed was different from what they thought they wanted. What my clients wanted was for someone else to do the thinking for them. They didn’t want to look up recipes. They didn’t want to write down a grocery list. They didn’t want to spend hours in the kitchen deciding what to eat. But they DIDN’T need a meal plan! They needed a SYSTEM. They needed a foundation of knowledge that would make it easy for them to put together their own meals — no recipe needed — that they could be CONFIDENT was nutritious and healthy. So I stopped offering meal plans and created Wholly Prep. It’s an online course my clients move through at their own pace to learn the basics of a whole food, plant-based diet. They learn how to build nutritious meals using ingredients they have on hand. They learn the easiest and quickest cooking and prep methods so that they can do all of their meal preparation on Sunday and have plenty to eat for the entire work week. My clients turn into whole food, plant-based meal prepping pros. But that’s not even the coolest part. They’re getting down to their ideal weight. They’re more energetic throughout the day. They’re saving loads of money on dining and groceries. They’re taking those evening yoga classes they never had time for before because they were too busy cooking. They’re spending more time with their families and less time in the kitchen. They have a new zest for life! But why limit this meal prep magic to my clients? I want YOU to reap the benefits too. Optimize your health with a whole food, plant-based diet. Stop letting your dining habits drain your bank account. Prepare your meals in 2 hours, once a week. That's it. Wholly Prep is designed for all types of learners, whether you learn best by watching, listening, reading, or doing. Besides lifetime access to all program content and updates, you get the juiciest of juicy bonuses with your enrollment in Wholly Prep! This is a place where you'll get additional meal prep tips and tricks, plus inspiration, recipes, and encouragement. You have 24/7 access to other students and myself who can help you with your plant-based journey and your fast and easy meal prep. The info contained in these cheat sheets would've been spread across several cook books. In this course, you get to download them all for free. If that sounds good to you, start learning now. Want to know EXACTLY what you’re going to learn? Feel free to check out the course curriculum below to determine if this course is right for you. Obviously, I don’t want you to pay for knowledge you already have! You’re already a whole food, plant-based meal prepping pro. Your idea of a fun day is spending hours in the kitchen preparing elaborate gourmet meals. You’re a trained chef and have been plant-based for several years. You’re new to the vegan lifestyle/ plant-based diet. You’re not confident in building a balanced plant-based meal to ensure you’re getting all of your nutrients. You have never meal prepped before. You’ve tried meal prepping but get bored eating the same meals over and over again. You don’t enjoy cooking or would like to spend less time in the kitchen. You don’t feel confident grocery shopping for healthy food. Your fruits and veggies often go bad before you use them. You’re busy and looking for ways to save time. You’re sick of spending so much on eating out and you’re looking for ways to save money. Move on to Unit 2! FAQ: Is this diet a cure-all? FAQ: Do I need to take supplements? FAQ: What does WFPB mean? And SAD? FAQ: Is soy bad for me? FAQ: Can I eat oil on a WFPB diet? FAQ: How do I lose weight on a WFPB diet? Unit 2: Stock Your Wholly Kitchen! Unit 5: Wholly Prep Bootcamp! Bonus Unit 2: Wholly Swap! Bonus Unit 3: Wholly Vegan! I’ll be honest: if you want to figure out what to eat, how to cook, and how to meal prep, you can use Google and Pinterest and throw a bunch of different opinions and techniques at the wall until something sticks. But if you’re serious about getting results, the last thing you have time for is pecking all around the interwebs, trying to piece it all together. Grab a recipe from here, a pantry list from there, and a meal plan from somewhere else, and you’ll end up frustrated and feeling like you’ve wasted a bunch of time. If you want real results, fast, you have to follow a process. Wholly Prep is a roadmap, and I'm going on this journey with you. You’ll have access to me and other people enrolled in this course in the private Facebook group Wholly Prep Stars. You can get answers to any questions and support from your fellow classmates. Sure, you can figure out what to eat and how to prepare it by piecing together random tidbits you find here, there, and everywhere. Or you can get off the struggle bus and ride with me! I promise you that taking this course is going to save you lots of time. I've tested these recipes, methods, tools, tricks, and tips. I've done those Google searches. I've whittled it all down into a step-by-step guide so that you don't have to struggle and waste time and money like I did. Whether you want to lose weight, save time, eat the right portions, or just make your life easier so you can focus on more important things, I'M HERE FOR YOU! So get ready to finally be present with your significant other, your kids, your friends, your family. Get ready to finally commit to that marathon training. Get ready to finally launch that Etsy side hustle you’ve been dreaming of. Get ready to finally spend your time doing what you actually want to be doing! You will have time for it all once you progress through Wholly Prep. Stop wasting time, stop wasting money, stop letting your life pass you by. Start learning the Wholly Prep method now! How is the information taught? The lessons are a combination of videos and downloadable cheat sheets, so if you learn best by watching, listening, or reading (or any combination of the three) I’ve got you covered! And of course, you can watch the videos in your kitchen and actually DO these exercises along with me if you’re a hands-on learner. I actually totally encourage this! How long will I have to view the course? You will have access to this course 24/7, 365 days a year indefinitely. It doesn’t go away, so you can always refer back to specific lessons if you forget something. AND, it’s very likely that more Bonus Units will be added as I find more relevant topics to teach. I’ll alert you by email when there’s anything new! Lessons vary from as short as 3 minutes to as long as 15. Each lesson is exactly the length it needs to be, no longer and no shorter, because I value your time. The lessons are packed with all of the essential and best information, but I’m not going to drone on and on when I don’t need to. Some lessons also include worksheets that will take you no more than 15 minutes to complete. They’re mostly for your own self-assessment to help you organize your thoughts and keep you on track. There are also pantry and fridge checklists you can use. If your kitchen is decently organized, it shouldn’t take more than 10 minutes to run through the checklist and figure out if you’re lacking essential ingredients. Is there a recipe book I can buy? The purpose of Wholly Prep is to empower you to be able to build meals according to the ingredients, flavors, and textures you love — no recipe book needed. That being said, I am developing Wholly Prep recipe books for those who need some extra inspiration and guidance. So far, 31 Green Smoothies is available here and on Amazon. I’m currently working on the big boss of all recipe books, 300 Tasty Plant-Based Recipes, which will include everything from spice blends, sauces, and marinades to salad, sandwich, and burger combos — plus way, way more. Many of these recipes are actually included in the course as cheat sheets!! But if you want an actual cookbook you can keep on your shelf for reference, stay tuned for the release of 300 Tasty Plant-Based Recipes. I have diabetes/heart disease/cancer/high blood pressure/high cholesterol. Is this course for me? Yes! The reason I became a Holistic Nutritionist was to counsel people with health problems to help get them off of their meds and get rid of their diet-caused diseases. That being said, I am not a doctor. Please advise your doctor of your upcoming dietary changes so they can monitor your health and adjust your medication accordingly. After all, it could be dangerous to continue taking medications you don’t need. I don’t have any health problems. Is this course for me, too? Yes! I had no health problems other than troublesome migraines when I went plant-based. (I haven’t had a single migraine since!) Learning how to switch to a plant-based diet the healthy way, and meal prep in a way that saves you time and money, is a fantastic benefit for literally anyone. Who doesn’t want to save time, right? And money? I can think of a million things I’d rather spend my cash on than another fast-food combo. Even if you’re already healthy, a nutrient-dense plant-based diet (like the one I teach in my course!) will make you even healthier. Seriously. Is this only for one person? What if I have a family? This course applies to individuals and families alike! The mindset, cooking, meal building, and transition methods for switching to a plant-based lifestyle apply to anyone. There will be only one difference: During Units 6 and 10, (Wholly Prep Bootcamp! and Wholly Breakfast! ), it will take a bit longer to prep food for the entire family, just because cooking times will be adjusted for larger batches, and more no-cook meals will need to be prepped. Twenty-one meals takes 2 hours with this system. That doesn’t mean 42 meals (enough for 2 people) will take 4 hours. It’ll actually take about 2 ½. And prepping enough meals for a family of four won’t take 8 hours. It’ll take more like 3. Will I need to count calories and measure portions? Ugh. Who likes counting calories? Definitely not me! So we don’t count calories in Wholly Prep. 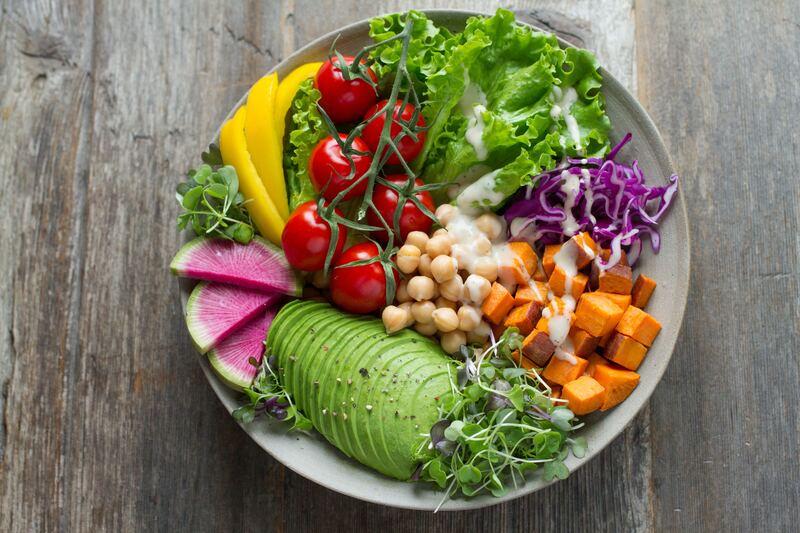 The awesome thing about a whole food, plant-based diet done the right way is that you fill up on nutrient-dense food that is lower in calories than animal products. This means you’ll be eating larger portions that are satisfying and satiating, but consuming fewer calories! I can’t wait to teach you how! As for measuring portions, I’ll teach you that too! Portion sizes obviously vary according to the individual. Think about it, you’re not going to feed a 5-year-old the same portion as an adult, and you’re not going to feed a 120-pound woman the same portion as a 180-pound male bodybuilder. I’ll teach you the foolproof method to eating the right amount of food. Don’t worry, you won’t need a scale, measuring cups, or any other special equipment. If you still have questions, shoot me an email. I’d love to answer it for you! Did I answer all of your questions? Then now is the time. It’s time for you to eat the best foods to fuel your body. It’s time to rediscover that energy you had as a kid. It’s time to stop letting fast food restaurants drain your bank account. It’s time to stop scrolling around on the internet looking for recipes you’ll never make and meal plans you’ll never follow. It’s time for you to become a plant-based meal prepping pro. It’s time for you to click that enroll button and get started on Lesson 1 today.